Deer Hunter 2017 is a free-to-play first-person shooter in the Deer Hunter franchise. In Deer Hunter 2017 you return to the wild and hunt across the globe as you pursue trophies in unique and beautiful locations that span from Alaska to Zimbabwe. Like most hunting games your goal as you explore the wilderness is to track down and shoot animals before they attack you, there are over one hundred species to find and while you search you must look out for wild animals such as bears, cheetahs, and wolfs which will also attack you. Where are the Different Regions? How do you Choose the Correct Weapon? How do you Aim Accurately? How do you Upgrade your Weapons? How can you get More Hunter Bucks for Upgrades? How do I Unlock Hunting with Dogs Mode? How do I Unlock Spearfishing Mode? How do you get Free Gold? 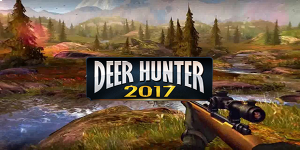 No discussions open for Deer Hunter 2017 at the moment.